MTV UK has shared a few more videos from the MTV World Stage show. They have Push And Shove, Don’t Speak, Looking Hot, and Settle Down videos on their site here! EIT has also added the full TV broadcast to their downloads section! Hello! Merry Christmas, and Happy Holidays! They also noted that MTV UK has posted a video of the “Push And Shove” performance from MTV World Stage. You can view it here! No Doubt has also posted a list of international channels that will be airing their MTV World Stage performance from last month. Hopefully someone can capture this, and share with us all! 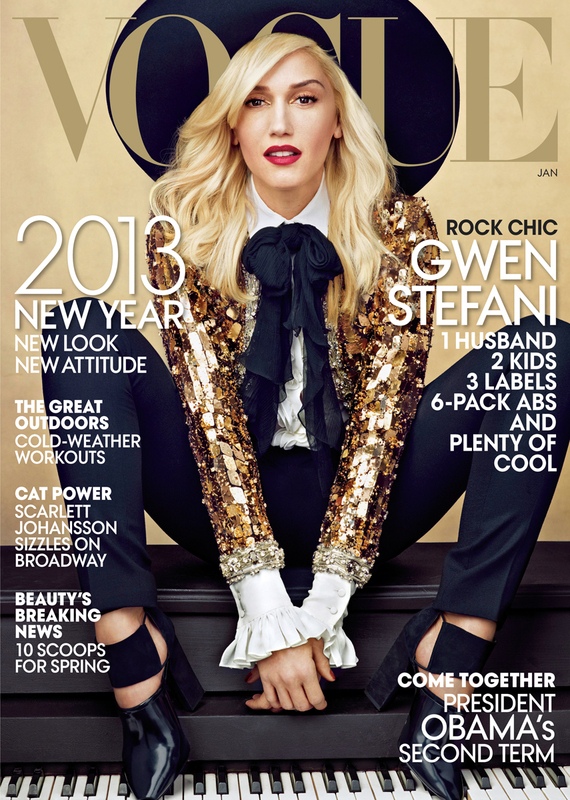 “Whether at home with her boys or on the road with No Doubt, Gwen Stefani proves she’s still the first lady of rock. Though she is dressed in black leggings and lace-up oxblood Doc Martens boots—in other words, ready to rock—the band has decided to take it easy and sit in chairs arranged in a circle for a quiet, almost acoustic run-through. As Stefani pulls up a folding chair and straddles it backward, she looks over at me leaning against a giant speaker and begins to dote. “Can we get him a headset and connect it to my mic?” A techie appears and wires me up. “Do we have a book of lyrics so he can follow along?” A notebook with lyrics is produced. If one of the hallmarks of a great rock band is that you instantly know it when you hear it, then No Doubt clears that hurdle easily. It can be no one else. This is a No Doubt song, and that is Gwen Stefani’s awesomely weird plucked-rubber-band voice: bwouwayng-a-wayng-a-wayng! Hers is not a subtle instrument, but there is so much character in it—she can effortlessly telegraph ironic brattiness or howling indignation or coy sweetness—that you don’t mind its limitations. And when she is sitting still and singing softly, it can really stop you in your tracks. As the old familiar songs pile up, Stefani begins to sway in her chair—singing more forcefully, actually moving her head a bit—while her neuroses come into sharper focus through the lyrics: a fixation on the passage of time; regret over the paths not taken; a longing for a simpler life. The band plays a few of the new songs, one called “Sparkle,” which Stefani wrote years ago and is classic No Doubt, and another called “One More Summer,” a wistful tune that verges on treacly soft-rock. Suddenly, Stefani decides they need to get out of their seats and go full tilt. The chairs are cleared away, the amps are turned up. “Are you ready?” she says to me. “This is going to be really loud.” They lean into “Looking Hot,” easily the best song on the album, one that reminds you that for all of her rock-star swagger, Gwen Stefani has always had a certain amount of existential angst about her life—questioning her pursuit of fame, her vanity, and even herself. Perhaps this is one of the reasons not everyone was thrilled with Stefani’s solo projects: Her heart did not seem entirely in it. The other thing that bothered some people was the misguided Madonna-like cultural appropriation of her backup dancers, the Harajuku Girls, four Japanese women who often appeared alongside Stefani in zany costumes during this period. The comedian Margaret Cho went so far as to call the dancers a “minstrel show” that reinforced negative stereotypes of Asian women. The fact that No Doubt recently got called out again on this score—this time by Native Americans who objected to the campy cowboys-and-Indians theme of their video for “Looking Hot,” which they immediately pulled off the Internet and apologized for—makes one wonder why this one area of tone-deafness prevails in someone otherwise known for being so spot on in her image-making. No Doubt has posted some new photos from their Gibson shows to their Facebook page! The forum awards winners have been announced. Congrats to BSO, and runners up EIT! I’m so happy just to be nominated! JillyBean posted a cute video on YouTube announcing the winners. It made me feel like crying just seeing GP in that video. xxxooo You can watch it here! Bush has released a single of Gwen performing “Glycerine” with them at the December 8th Almost Acoustic Christmas show! You can buy it on iTunes here! It’s being reported that No Doubt is playing a mini show on Jimmy Kimmel January 8th! You can request free tickets here! Hello! No Doubt is nominated in the 2012 World Music Awards in the best album, best group, and best video (for “Settle Down”) categories! Click the links to go vote for them in each category, please! Push And Shove is #10 in Rolling Stone’s Readers’ Poll: The Best Albums of 2012! That’s pretty awesome! Hello! Well, I’ve got to catch up a little bit! First, No Doubt played a surprise set at last night’s 23rd Annual Almost Acoustic Christmas at Gibson Amphitheatre! I’ve uploaded some photos to the gallery. KROQ posted a backstage interview video in which No Doubt dropped a bombshell! 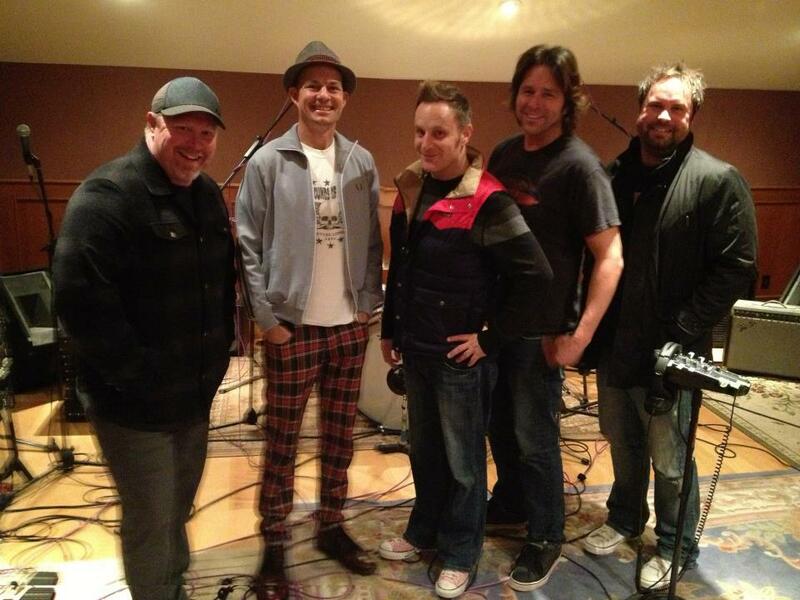 They are in the studio recording new music now! Holy crap! Also, they mentioned possibly touring this summer! You can watch the video on KROQ’s site here! Also, Gwen joined Bush on stage the night before to sing “Glycerine” with Gavin! In the above KROQ interview, Gwen mentioned that they wanted to do something special, because they met each other 17 years ago at Almost Acoustic Christmas. I’ve added a handful of photos to the gallery. “KROQ’s Almost Acoustic Christmas is a sentimental occasion for Bush frontman Gavin Rossdale, since it’s the show where he met wife Gwen Stefani 17 years ago. And when Rolling Stone spoke with Rossdale backstage at Almost Acoustic Christmas in 2011, he immediately got nostalgic, reminiscing about the dressing room where the two met. So, last night, at the end of two years of touring, back at Almost Acoustic Christmas, the rock & roll husband and wife celebrated their history at the event by performing together. Rossdale, on stage with just a guitar, started in on “Glycerine,” singing the song’s first verse alone. Then an unannounced Stefani walked onstage to join in on the second verse, drawing an insane response from the crowd. Los Angeles magazine has posted an article about some of Tony’s favorite local places to hang out, etc. You can view it here! Don’t forget to keep voting for No Doubt in the People’s Choice Awards. Voting closes this Thursday! Click here to go vote for them! They are nominated in the favorite band category. Finally, I’ve added audio of the full November 28th show, and it’s awesome quality! Click here to download. 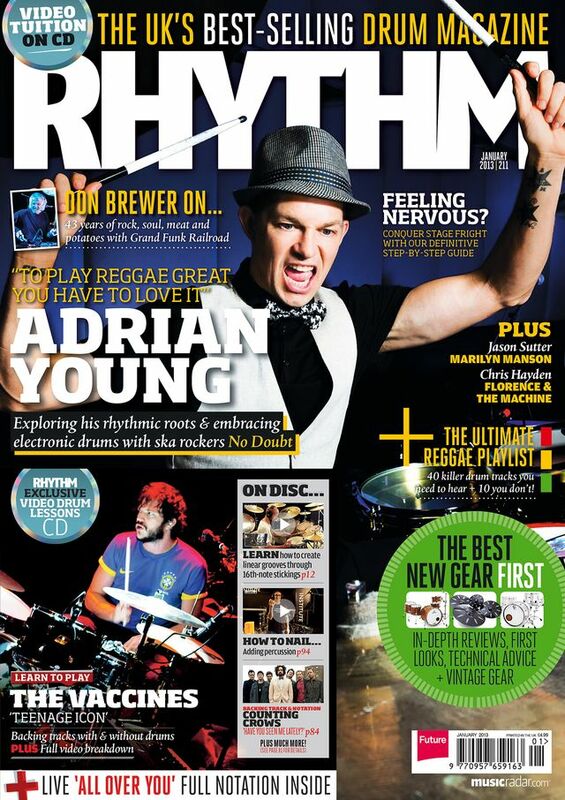 Thanks so much to JB for sharing! Per request, I’ve left the files in the original .flac lossless format. Should you need help with playing .flac files, you may find this guide helpful. If you have Windows, I think the easiest solution is to install Winamp if you don’t already have it. “No Doubt is pleased to announce a brand new collaboration with British clothing brand Fred Perry! 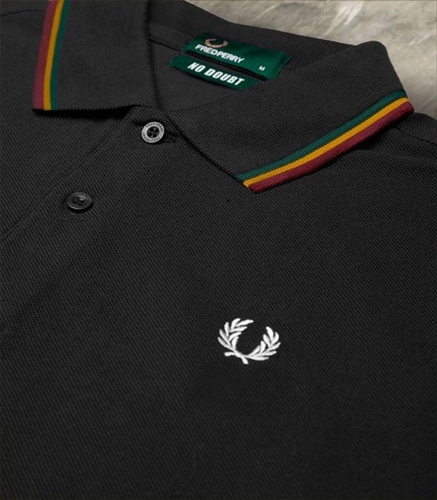 The band have worked closely with the Fred Perry design team to create a collection of classic Fred Perry styles which honor No Doubt’s ska and reggae roots. A limited edition slim fit shirt, available for both men and women, will be released in early January 2013. A punk inspired tartan check V neck sweater and 1950s style bomber will be available in Spring 2013. Want to be notified as soon as the No Doubt and Fred Perry collaboration is available? “One of my early concert claims to fame is seeing No Doubt in a warehouse in Orange back in 1994. Fast forward eighteen years and No Doubt is capping a seven night sold-out run at the Gibson Amphitheatre with roughly 40,000 people snapping up tickets. Their historic run has been spurred by the release of their new album Push and Shove. A buzz filled the Gibson Amphitheatre as soon as the lights dropped. Various video clips flickered on a huge LCD screen as the all the members of No Doubt lined up in front of the stage as a barrage of camera flashes attempted to light up the darkened venue. “Push And Shove” immediately had No Doubt charging out of the gates guns blazing. Stephen Bradley ambushed the front of the stage for his vocal parts while playfully interacting with Gwen Stefani. It was astonishing that Stefani never sounded winded while singing even though she was never in one spot for more then two seconds. The crowd really cut loose during “Hella Good” as its enormous bass line was enhanced by the whole audience jumping up and down at the direction of Stefani. Even in the early days, No Doubt have always been appreciative of their fans and things haven’t changed as Stefani truly seemed astonished to have sold out seven nights and thanked the crowd multiple times throughout the evening. It was a parade of greatest hits as the tropical vibe of “Underneath It All” smoothly transitioned seamlessly into the fast paced “Ex-Girlfriend.” The ground rumbled again as Tony Kanal manned his Moog keyboard for the sub sonic bass of “Hey Baby.” Every member of No Doubt is vital to their overall sound and Adrian Young’s snappy snare drumming on “New” was vicious. A spacey outro to “New” gave time for the roadies to assemble some acoustic instruments as No Doubt had a chance to catch their breath. Stefani took this time to make some No Doubt fans extremely happy as she pulled them from the crowd for a photo. The smiles permanently attached to the fans face spoke volumes. No Doubt dipped into their back catalog for “Hey You” as Tom Dumont gracefully strummed out the acoustic shimmery parts. “Simple Kind Of Life” was one of the many spine tingling moments of the evening as the crowd sang along at top volume. The acoustic set seemed to have gone by in seconds as No Doubt soon kicked things into a higher gear with the bouncy “Sunday Morning”. “Settle Down” kept the audience rocking as Dumont deftly handled the ska flavored guitar parts. Lighters and cell phones lit up the Gibson Amphitheatre for “Don’t Speak” as Stefani’s voice perfectly hovered slightly above the mix of the instruments. After a weak attempt by the men to sing “Just A Girl”, the ladies in the audience almost blew out my eardrums singing/screaming the lyrics at Stefani’s direction. Another special moment occurred when No Doubt teased the crowd with a good portion of “Excuse Me Mr.” during the fan request portion of the evening. My personal favorite moment though came during the punk/ska classic old school song “Total Hate” which brought back a wave of flashbacks to that warehouse show in Orange. “Spiderwebs” brought down the house and sadly drew to a close the historic seven night run at Gibson Amphitheatre. It is safe to assume No Doubt will tour the world on the new album and I’m willing to bet they will come back to Orange County for a multiple night run just as historic. Critical Bias: Tom Dumont gave me his guitar pick after I saw them in Modesto right before Tragic Kingdom went bonkers. It was a Fender pick that was red, white and blue. Crowd: Arguably one of the most diverse audiences you will ever see at a show. Overheard in the crowd: A collective “Whoa” when Gwen Stefani came back in a red outfit for the encore that showed off her six-pack abs. Random Notebook Dump: The line for the ladies bathroom was out of control. You are currently browsing the Greener Pastures – a No Doubt fan site archives for December, 2012.